2014 BMW 3 Series CARFAX One-Owner. 3 Series 328i In Imperial Blue Metallic, Located at Checkered Flag BMW . ** CLEAN VEHICLE HISTORY...NO ACCIDENTS **, ** RECENT TRADE IN **, Comfort Access Keyless Entry, Dakota Leather Upholstery, Driver Assistance Package, Heated Front Seats, Lumbar Support, Moonroof, Park Distance Control, Premium Package, Rear-View Camera, Satellite Radio. 23/35 City/Highway MPG EXCLUSIVELY AT 5225 virginia beach boulevard Virginia Beach VA 23462 , Where Winners Buy! 2015 BMW 3 Series 328i xDrive In Mineral Gray Metallic, **INCLUDES WARRANTY**, Located at Checkered Flag BMW . 328i xDrive, AWD, Brake assist, Electronic Stability Control, Heated Front Seats, Moonroof, Navigation System. 22/33 City/Highway MPG EXCLUSIVELY AT 5225 virginia beach boulevard Virginia Beach VA 23462 , "WHERE WINNERS BUY"
2013 BMW 3 Series CARFAX One-Owner. 328i xDrive In Orion Silver Metallic, Located at Checkered Flag BMW . ** CLEAN VEHICLE HISTORY...NO ACCIDENTS **, AWD, Cold Weather Package, Comfort Access Keyless Entry, Dakota Leather Upholstery, Heated Front Seats, Heated Rear Seats, Heated Steering Wheel, Lumbar Support, Moonroof, Premium Package, Retractable Headlight Washers, SIRIUS Satellite Radio. Odometer is 46734 miles below market average! 22/33 City/Highway MPG Awards: * Car and Driver 10 Best Cars * 2013 IIHS Top Safety Pick * 2013 KBB.com Brand Image Awards Car and Driver, January 2017. EXCLUSIVELY AT 5225 virginia beach boulevard Virginia Beach VA 23462 , Where Winners Buy! 2016 BMW 3 Series CARFAX One-Owner. 3 Series 320i In Dark Blue, includes warranty , Located at Checkered Flag BMW . Advanced Real-Time Traffic Information, Anthracite Headliner, BMW Online & BMW Apps, Driver Assistance Package, Increased Top Speed Limiter, Instrument Cluster w/Extended Contents, M Sport Suspension, M Steering Wheel, Navigation System, Park Distance Control, Rear-View Camera, Remote Services, Sport Package, Wheels: 18" x 8.0" Fr & 18" x 8.5" Rr (Style 658). 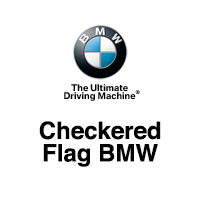 At Checkered Flag BMW EXCLUSIVELY AT 5225 virginia beach boulevard Virginia Beach VA 23462 , "WHERE WINNERS BUY"
2015 BMW X1 xDrive28i In Glacier Silver Metallic, Located at Checkered Flag BMW . Brake assist, Electronic Stability Control, Heated Front Seats. 22/32 City/Highway MPG EXCLUSIVELY AT 5225 virginia beach boulevard Virginia Beach VA 23462 , "WHERE WINNERS BUY"
2015 BMW X1 xDrive28i In Mineral Gray Metallic, **INCLUDES WARRANTY**, Ambiance Lighting, Auto-Dimming Interior & Exterior Mirrors, Auto-Dimming Rear-View Mirror, BMW Apps, BMW Online & BMW Apps, Cold Weather Package, Comfort Access Keyless Entry, Enhanced USB & Bluetooth w/Smartphone Integration, Heated Front Seats, Heated Steering Wheel, Interior Mirror w/Compass, Lumbar Support, Nevada Leather Upholstery, Panoramic Moonroof, Premium Package, Real Time Traffic Information, Remote Services, Retractable Headlight Washers, Satellite Radio w/1 Year Subscription, Technology Package, Universal Garage-Door Opener, Voice-Command. 22/32 City/Highway MPG EXCLUSIVELY AT 5225 virginia beach boulevard Virginia Beach VA 23462 , "WHERE WINNERS BUY"
CARFAX One-Owner. Lunar Mist 2004 Toyota Corolla LE FWD 4-Speed Automatic with Overdrive 1.8L I4 SMPI DOHC Illuminated entry, Remote keyless entry. Checkered Flag Auto Outlet. Value-Priced with vehicles from a Local Business Trusted for over 52 Years. 29/38 City/Highway MPG A 12 month or 12,000 mile warranty is included with every purchase at the Auto Outlet. 2006 INFINITI M35 X In Liquid Platinum Metallic, Available NOW at Checkered Flag Honda!, Leather Interior, AWD. Odometer is 39232 miles below market average! Available NOW at Checkered Flag Honda! Proudly serving Virginia Beach, Norfolk, Chesapeake, Pungo, Bay Island, Hampton, Newport News, Suffolk, Smithfield, Carrollton, Windsor, Franklin, Salem, Princess Anne, Tabb, Rushmere, Rescue, Poquoson, Grafton, and all of greater Virginia. 2008 Honda Civic EX In Red, Available NOW at Checkered Flag Honda!, Ivory w/Cloth Seat Trim. Odometer is 20607 miles below market average! 25/36 City/Highway MPG Awards: * 2008 KBB.com Brand Image Awards 2016 Kelley Blue Book Brand Image Awards are based on the Brand Watch(tm) study from Kelley Blue Book Market Intelligence. Award calculated among non-luxury shoppers. For more information, visit www.kbb.com. Kelley Blue Book is a registered trademark of Kelley Blue Book Co., Inc. Available NOW at Checkered Flag Honda! Proudly serving Virginia Beach, Norfolk, Chesapeake, Pungo, Bay Island, Hampton, Newport News, Suffolk, Smithfield, Carrollton, Windsor, Franklin, Salem, Princess Anne, Tabb, Rushmere, Rescue, Poquoson, Grafton, and all of greater Virginia. Desert Sand Mica 2006 Toyota Camry SE FWD 5-Speed Automatic with Overdrive 3.3L V6 SMPI DOHC ******Warranty included*******, Fresh State Inspection and all regular maintenance completed., 3.3L V6 SMPI DOHC. Checkered Flag Auto Outlet. Value-Priced with vehicles from a Local Business Trusted for over 52 Years. Recent Arrival! 21/29 City/Highway MPG A 12 month or 12,000 mile warranty is included with every purchase at the Auto Outlet.